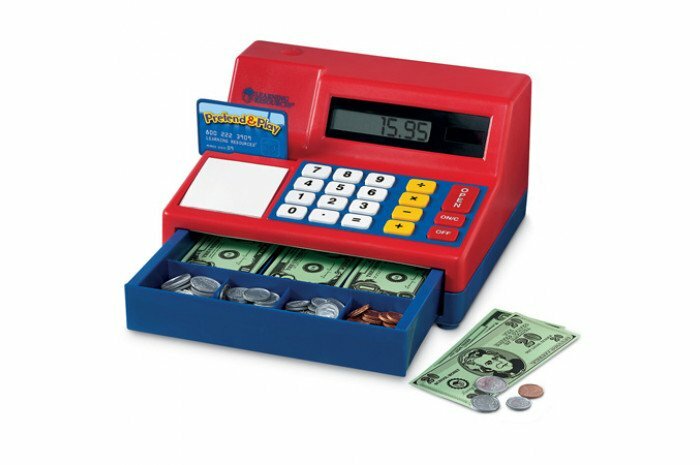 An award winning cash register for play. Recommended ages 3-8. 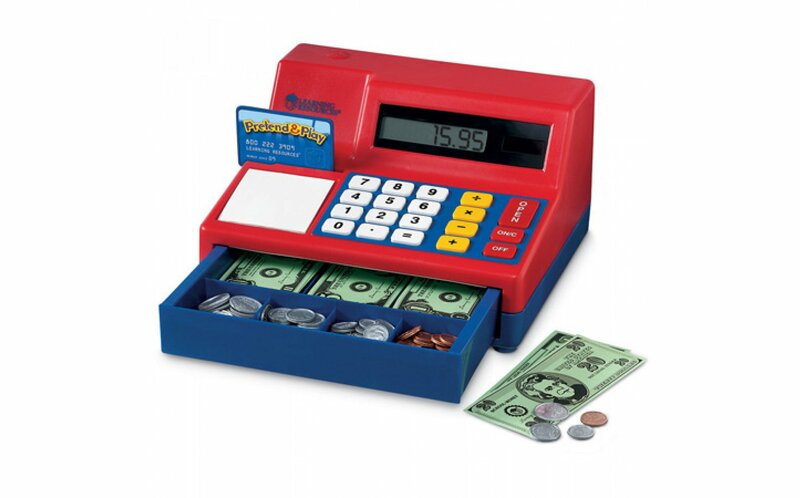 Your clients will enjoy the sounds it makes and the play money as well.